Is increasing production without expanding staff, equipment, and resources, while reducing downtime, a concern? 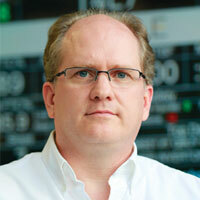 “No longer,” emphasizes Scott Burns, CTO, SeQent. With SeQent, he adds, “Manufacturers can squeeze more out of what they have today.” The company’s top-notch plant floor messaging and communications platform enables manufacturers to boost production without having to build new infrastructure. Enterprises invest millions in retrofitting the latest Human Machine Interface (HMI), Enterprise Resource Planning (ERP), and Supervisory Control And Data Acquisition (SCADA) systems. However, these systems primarily act as reporting and visualization tools for administrators and are segmented away from the shop floor operators. “We build a bridge between those existing systems and the shop floor,” adds Burns. With this, companies can transfer the knowledge and statistics to the shop floor, enabling the latter to act on data immediately. “We are the ‘postmen of the plant floor,’” states Burns. The company’s FirstPAGE product line consists of a core messaging server capable of supporting thousands of messages per hour to hundreds of messaging destinations. An aspect that makes the FirstPAGE product line unique, as opposed to a home-grown solution, is its ability to automatically escalate alarms based on aging and event frequency—as events occur more frequently, more attention is given to those particular issues. “The software ensures that there is enough notification and response to issues as they age and become more of a problem,” explains Burns. In addition, SeQent has added interfaces to Building Management (BMS) and Life Safety Systems (LSS). Upon the occurrence of an unforeseen event on the plant floor, SeQent quickly publishes evacuation information and notifies the entire plant. On another note, manufacturing companies have invested a significant amount of time and capital on mobility for the shop floor. Heeding their calls, SeQent has built a new mobile Andon solution based on their VideoServer technology software that controls displays in Andon implementations, enabling companies to have real-time views of their Andon screens on tablets and mobile phones, wherever they are. The company’s unmatched breadth and depth of partnerships with Aptean, General Electric, Rockwell, and Motorola give it the edge over others. SeQent’s Andon and wireless alarming solutions are fed by gateways and, “SeQent has the most gateways in the market for interfacing with different systems that have alarms, events, and plant floor statistics that need to be published,” asserts Burns. SeQent’s value proposition does not end yet. One of the company’s large customers approached them to implement a unified communication strategy that negated the need for shop floor staff to carry multiple devices on their belts. SeQent, leveraging its partnership with Motorola and NeoTerra, built a bridge between its alarm and event management technology and Motorola’s MOTOTRBO™ digital two-way radio platform, allowing the customer to get rid of their pagers and phones. Solutions like this have made SeQent a trusted partner to not only Fortune 500 companies, but also to Forbes 2000 companies. Three of the largest automotive companies in the U.S., as well as the world’s largest semiconductor manufacturer utilize SeQent’s products in all their facilities worldwide. Moving ahead, SeQent is determined to stick to their goal of providing automation a voice. “We want to publish plant floor data to technicians on the floor,” Burns affirms. With tablets steadily finding their way into the shop floor, SeQent’s efforts are focused around mobility, alarms and events, and statistics being published and available to query on mobile devices. “In 2015, expect something exciting from SeQent focused on the tablet space,” says Burns. Provides wireless alarm and event dispatch, Andon-industrial digital signage, and wireless Kanban solutions that accelerate decision making and improve productivity.